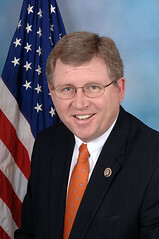 I’ve had some questions and criticisms over my recent posts about the recent controversy surrounding Oklahoma’s U.S. Rep. Frank Lucas so I thought I would clear things up before I move to other issues. A recent report ripped Lucas for voting in favor of a farm bill that broke a decades-old precedent by not also including funding for Supplemental Nutrition Assistance Program benefits, or food stamps. The point of the report, which was prepared by U.S. Rep. George Miller, a California Democrat, is that 14 Republicans, including Lucas, voted essentially to continue their own personal federal farm subsidies while ignoring the needs of the hungry. That fact is simply not in dispute. Some people who read my posts, however, pointed out that Lucas had earlier offered a bill with food stamps in it, and that Democrats had chosen to vote against it. In making their argument, they conveniently left out the point that Lucas’ bill contained $20 billion in cuts to food assistance over ten years and that is one of the major reasons the bill failed. So to clarify: This is an issue about food stamps for the poor. Lucas is clearly on the side, as his recent voting record shows, of cutting food assistance to the poor. I’m unsure how anyone can claim at this point Lucas has the concerns of the poor and hungry in mind as chair of the House Agricultural Committee. Another argument has been made that somehow it’s not Lucas’ fault the House-passed farm bill didn’t reauthorize SNAP benefits. The real blame, this argument goes, is the House leadership and/or pressure by Tea-Party Republicans, such as U.S. Rep. Paul Ryan, some of whom would undoubtedly do away with all assistance to the poor if they could. I mentioned this pressure in my posts. The problem with this argument is that Lucas VOTED in favor of the bill without SNAP in it. It doesn’t matter to me if it was supposedly political expediency that made him do it or just a lack of compassion for poor people. It all comes down to the same thing. He VOTED for it. He could have chosen NOT to vote for it. For the record, once again, I’m not begrudging Lucas the some $40,000 his family farm has received in government assistance over the years. I just think it’s reprehensible that he would vote for possible future benefits for himself in a bill that leaves out the traditional aid to the hungry. Food stamps have been part of the farm bill since 1973. I’m left unsure why Lucas’ defenders even care about the nuances of this story. His only political vulnerability, it seems to me, would be if a Republican even more to the right of him would challenge him in a reelection attempt. Voting for huge cuts in government programs that help the poor would only enhance his political chances in Oklahoma. That doesn’t mean it’s right or moral, but it’s the reality. The Obama Administration recently announced that it will delay the implementation of a key piece of its sweeping health care reform; the employer mandate. The mandate would require any employer within the United States with over 50 employees to provide them health insurance or face steep federal penalties. Considering that a mandate of this scope is already being delayed reinforces what we already knew: Obamacare is an unworkable catastrophe. And now, even the Administration is starting to admit it. Note the hyperbole in “unworkable catastrophe.” I’m sure this plays well to his constituency, even to some of the impoverished people who don’t vote or vote against their own financial interests in his 3rd Congressional District. In a somewhat related matter, a new survey completed for the Associated Press shows that 4 out of 5 American adults now struggle with poverty or near-poverty at some point in their lives as the gap between the rich and poor continues to grow. Lucas’ recent actions show that helping these “invisible poor” people in Oklahoma is not his priority. That’s his right, but his supporters shouldn’t pretend otherwise. In the end, the Senate and President Barack Obama will ensure reauthorization of the SNAP program, but there will probably be cuts. It’s the country’s shame that right-wing politicians and extremists want to deny food to hungry people in one of the richest countries in the world, just like they want to deny health insurance to the poor. Lucas is obviously in this group, but, frankly, it only helps him politically in this ultra-conservative state.